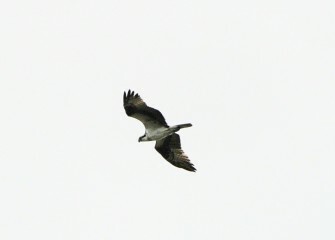 August 2018 - Participants spot an Osprey flying overhead. 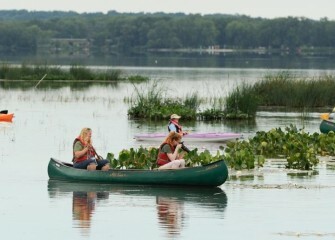 Twenty-six bird species were recorded during the paddle, including Indigo Bunting, Eastern Towhee and Common Yellowthroat. 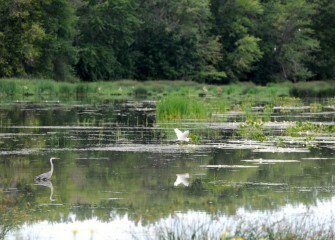 August 2018 - A Great Egret (center) takes flight. 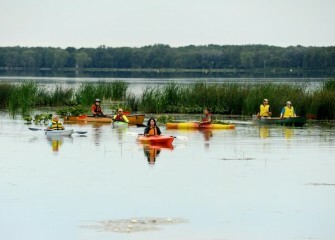 Several were spotted during the paddle. 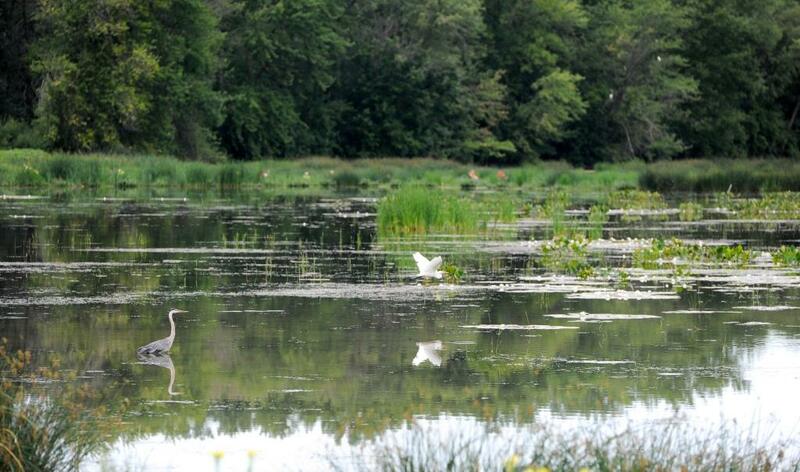 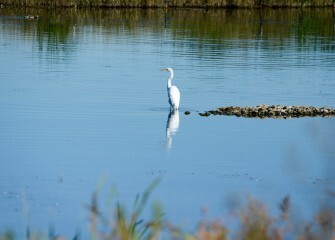 Great Egrets were rarely seen at Onondaga Lake prior to habitat restoration. 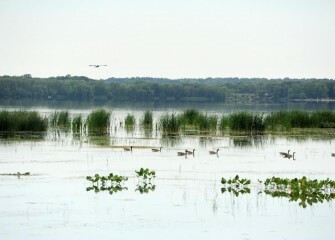 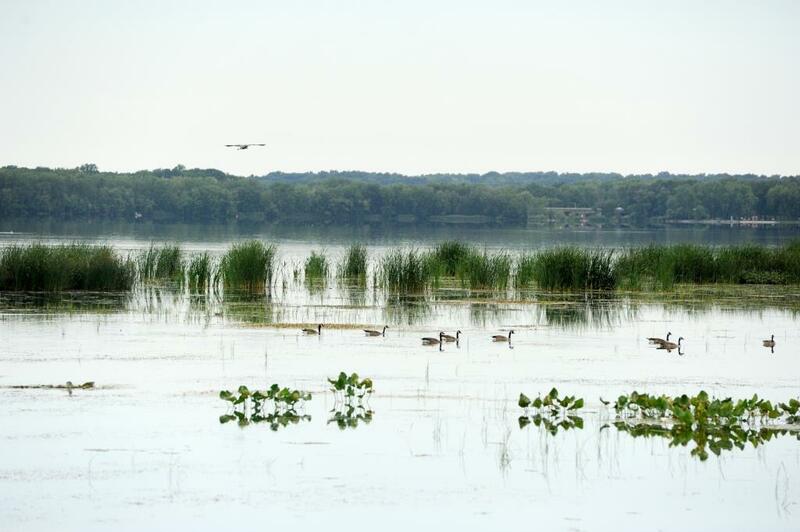 August 2018 - Numerous waterfowl are seen in the in-lake wetlands near the mouth of Nine Mile Creek. 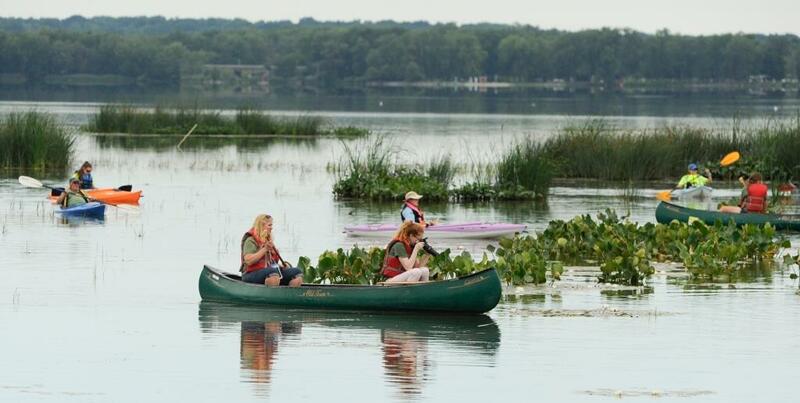 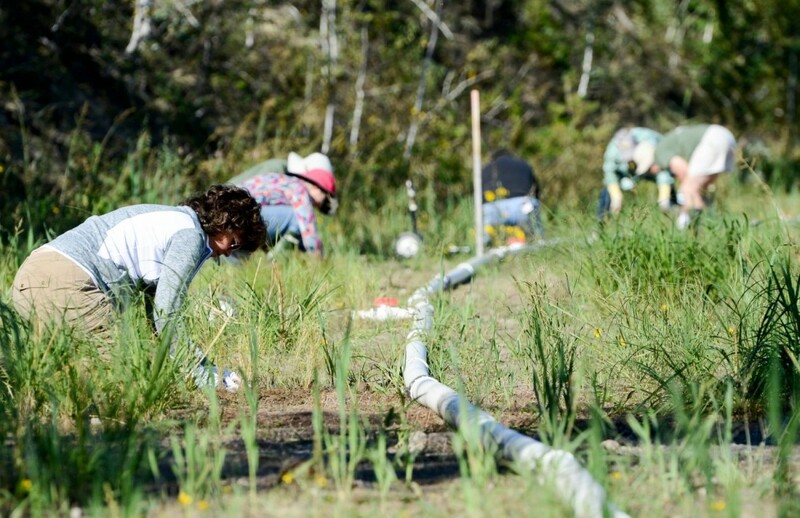 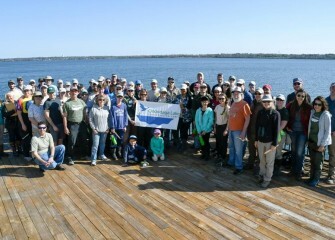 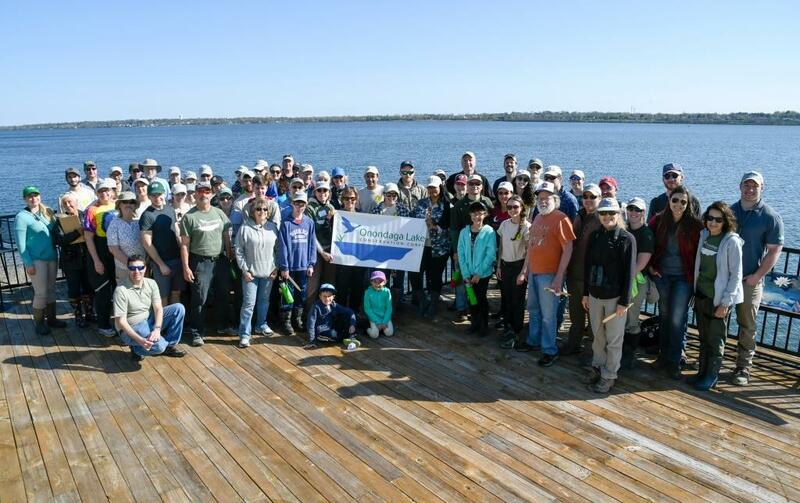 May 2018 - Forty-five community volunteers gathered on Saturday, May 5, to participate in citizen science monitoring in restored habitat areas around Onondaga Lake. May 2018 - A juvenile sunfish is measured before being returned to the lake. 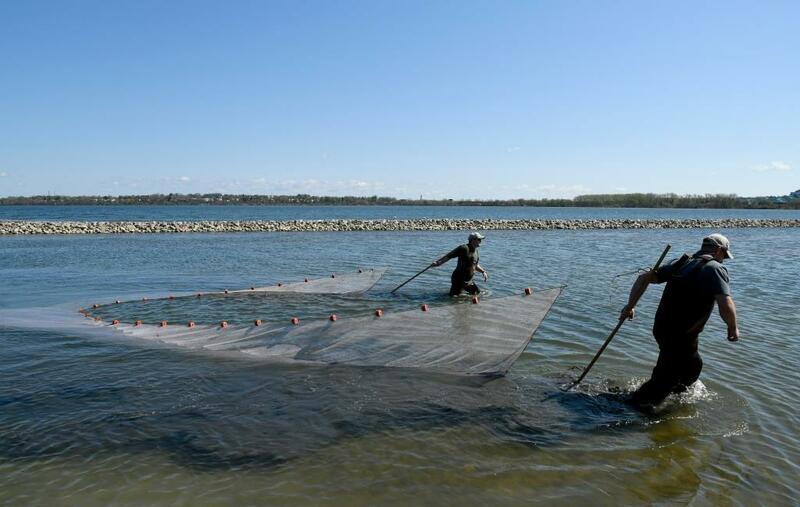 May 2018 - Two habitat experts use a seine net, moving parallel to the southwest shoreline, to capture fish and other creatures for identification. 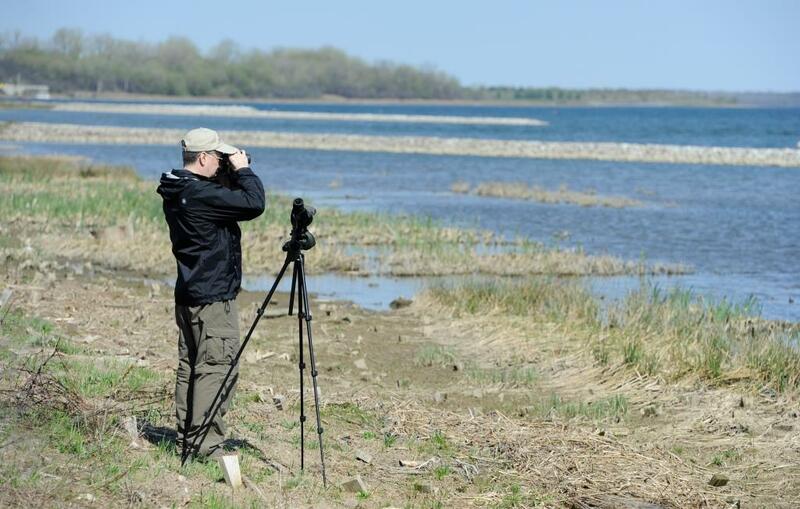 May 2018 - Binoculars and a spotting scope are tools used to help identify water bird species out on the lake. 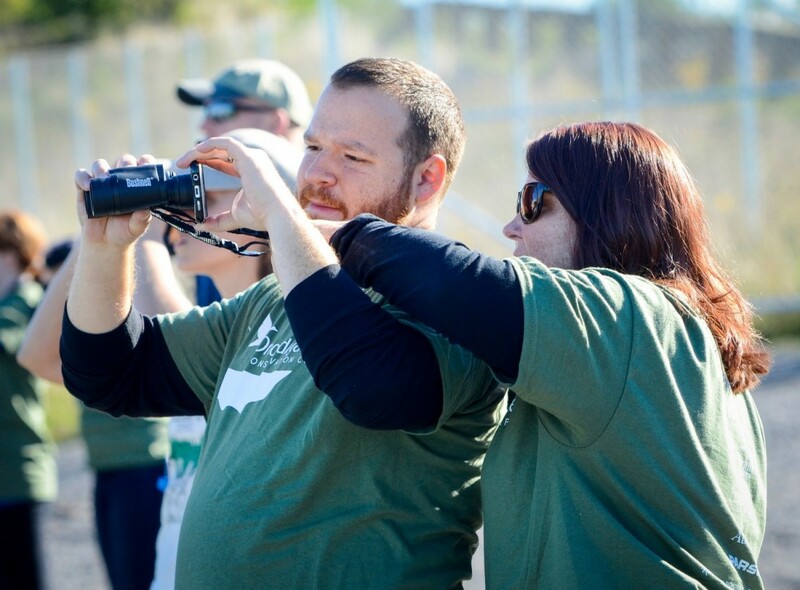 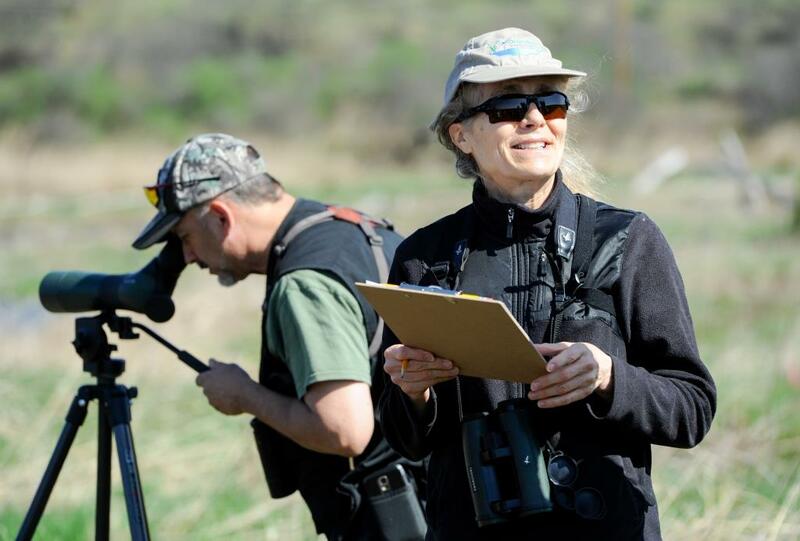 May 2018 - Ruth Florey (right), Onondaga Audubon Society member and Corps volunteer, tracks bird species with local wildlife photographer and Corps member Phillip Bonn. 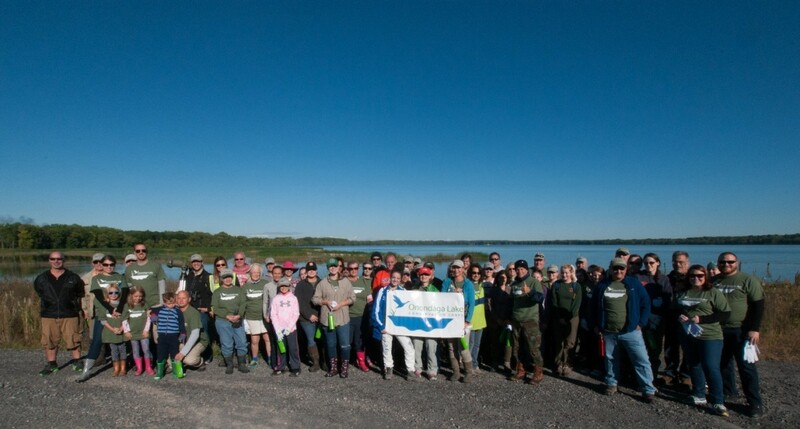 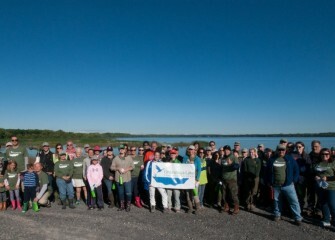 September 2016 - Sixty-seven Onondaga Lake Conservation Corps volunteers met on a beautiful Saturday morning in September to help enhance newly created habitat near the mouth of Nine Mile Creek. 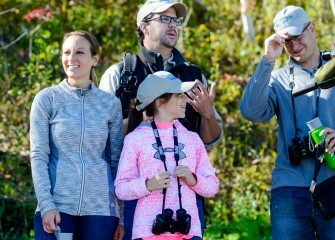 September 2016 - Jeff (right) and Laura McIlroy, of Camillus, and their niece, Ava Purtell, 10, from Baldwinsville, enjoy learning about the variety of birds seen at Onondaga Lake from Onondaga Audubon Society board member Frank Moses (in back). 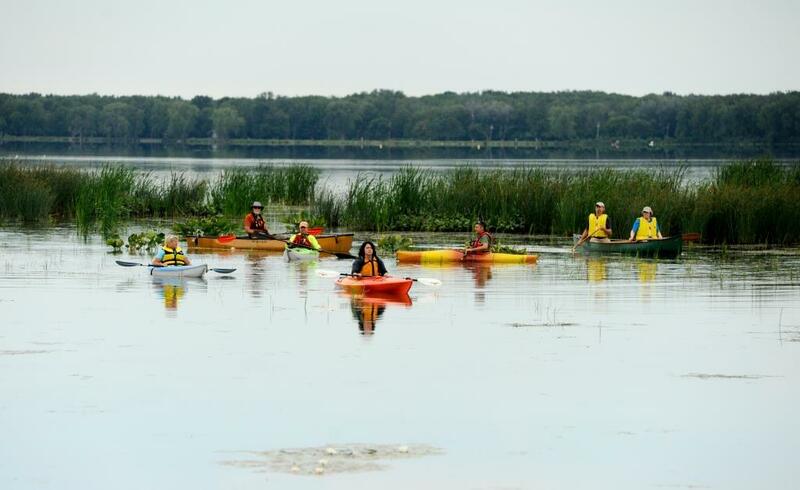 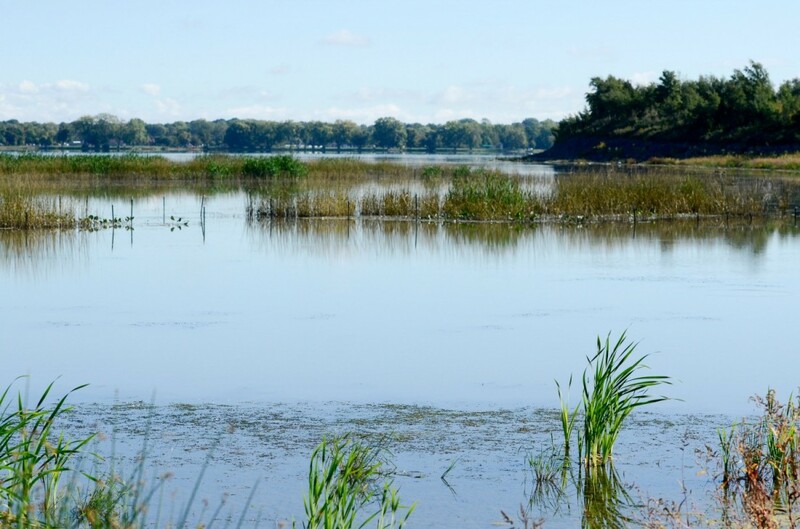 September 2016 - The work taking place near the mouth of Nine Mile Creek will transform over 18 acres into new wetlands that will play a significant role in creating a healthy Onondaga Lake watershed and a sustainable ecosystem. 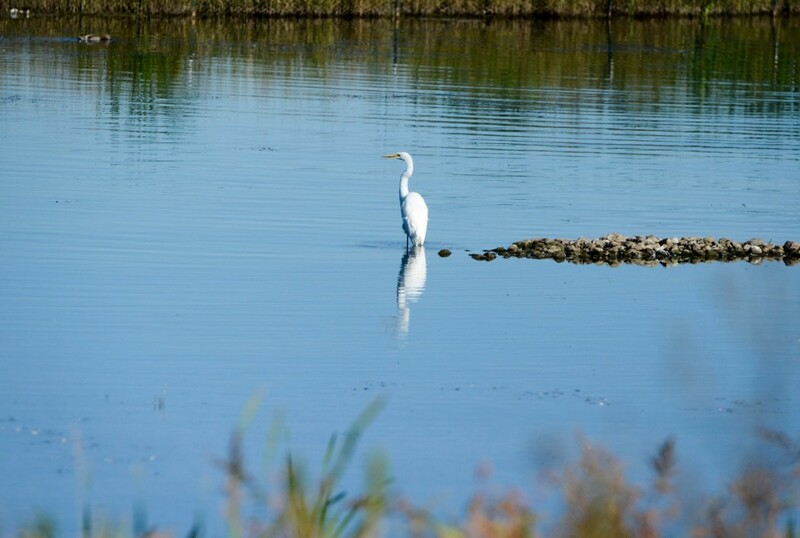 September 2016 - A Great Egret hunts in shallow water in the new wetlands, waiting for a small fish or possibly a frog or other small animal. 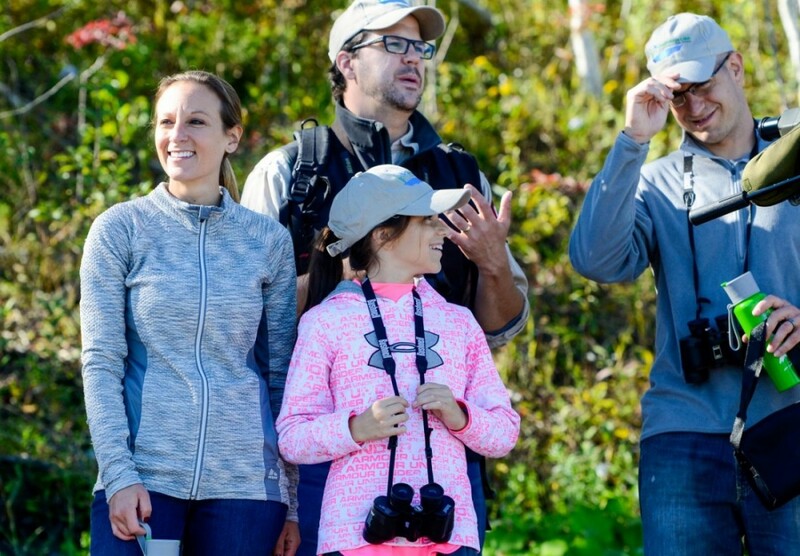 September 2016 - Matthew and Elizabeth Tognarelli, graduate students at Syracuse University, use a phone to capture an image of a Great Egret through binoculars. September 2016 - Rachel Elder, M.D. 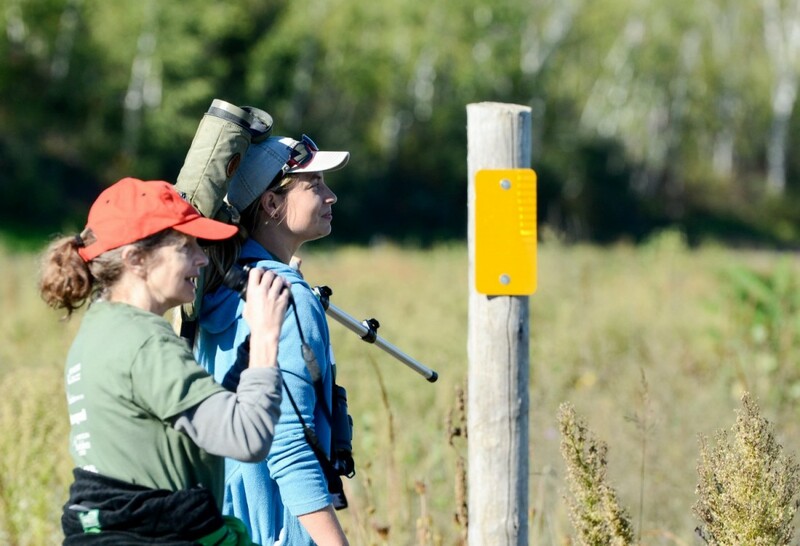 (left), and Alison Kocek, President of Onondaga Audubon Society, spot birds in grassland areas near the shoreline. 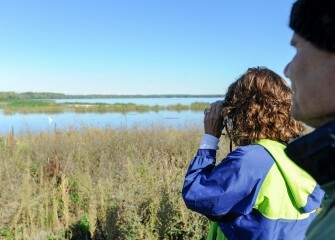 September 2016 - Honeywell Educators Sue Potrikus and Gary Lipp observe a Great Egret in the newly created wetlands near the mouth of Nine Mile Creek. 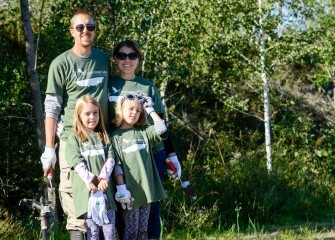 September 2016 - Mark and Elizabeth Bremer, of Manlius, brought daughters Sammie (left) and Ali to also volunteer. Corps members pledge to educate future generations about becoming caretakers of the water, air, land, and wildlife. 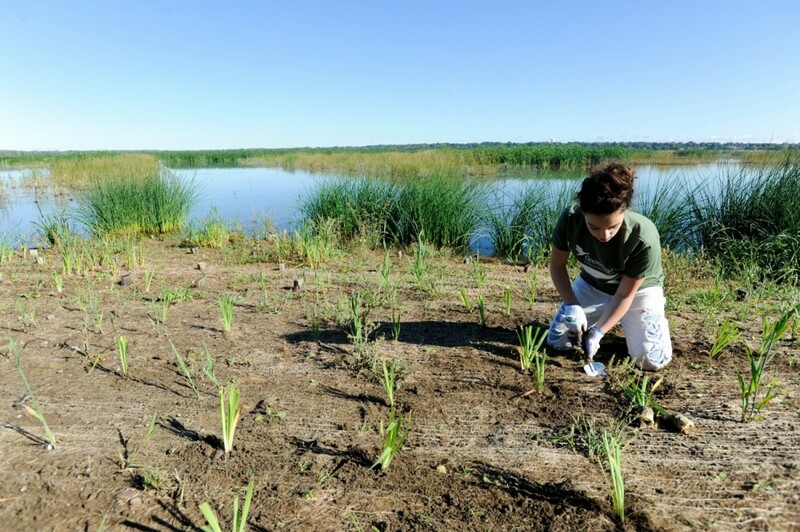 September 2016 - Lydia Giordano, a student at Onondaga Community College, plants broadleaf cattail along Onondaga Lake’s western shoreline. 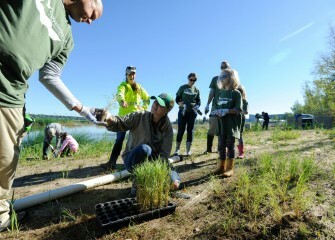 New plantings are given proper spacing to thrive and will eventually fill in bare areas. 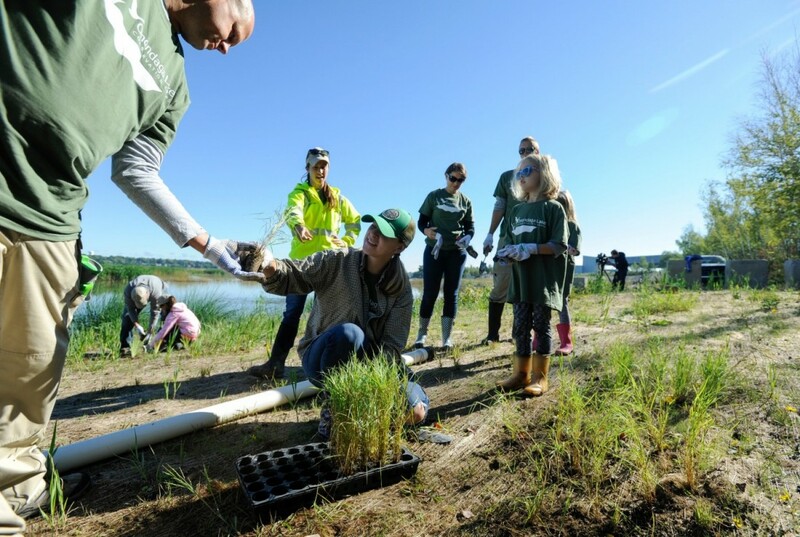 September 2016 - Diane Mantooth (left), of Clay, and others install 1,400 native plants along Onondaga Lake’s shoreline Saturday morning. 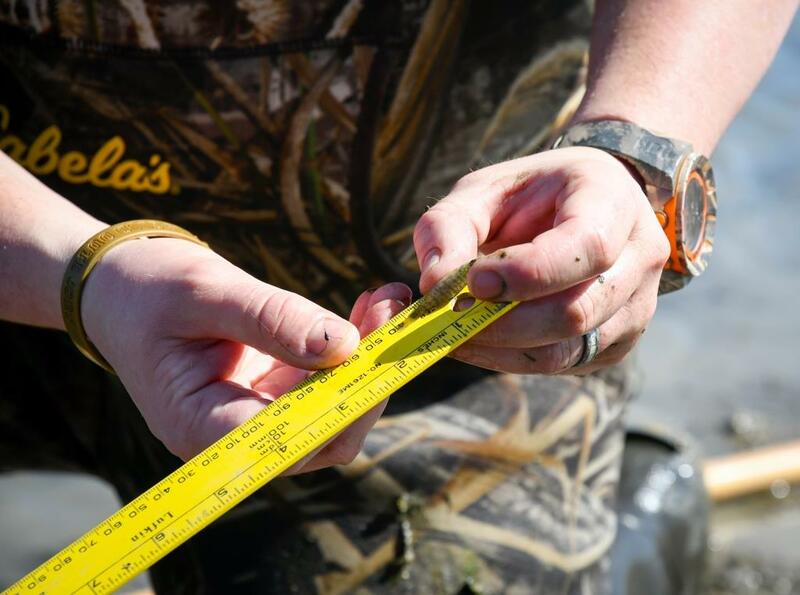 Temperature conditions are ideal for fall planting. 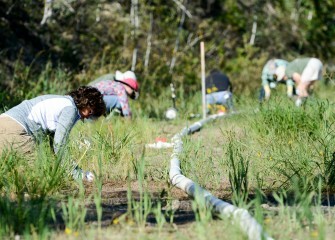 The areas will be irrigated to ensure survival of the new plants. 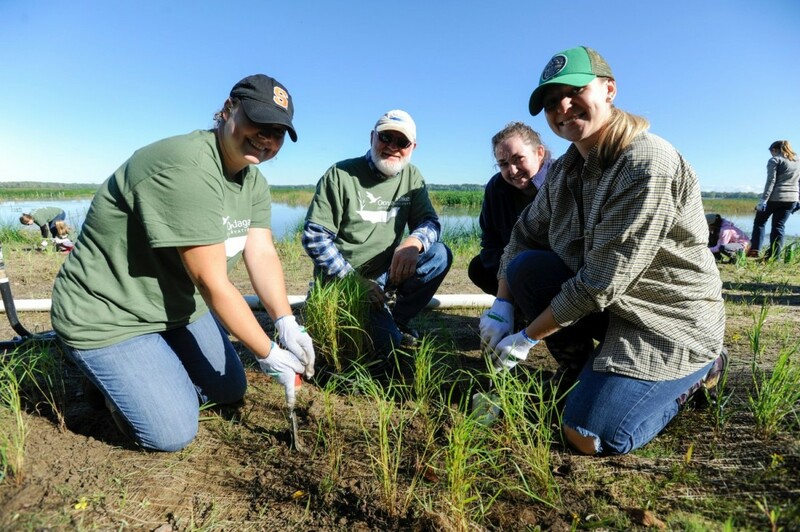 September 2016 - First-time volunteers Melanie Tracy (left), Julie Harsma (right back) and Kourtnie Clark (right), all from Syracuse, plant switchgrass with habitat expert Joe McMullen. 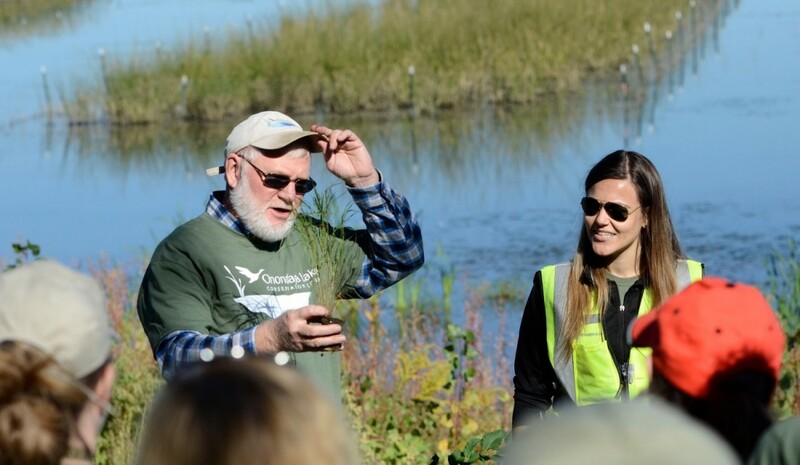 September 2016 - Kourtnie Clark, a student at Onondaga Community College, hands a bluejoint grass plug to LaFayette teacher David Amidon. 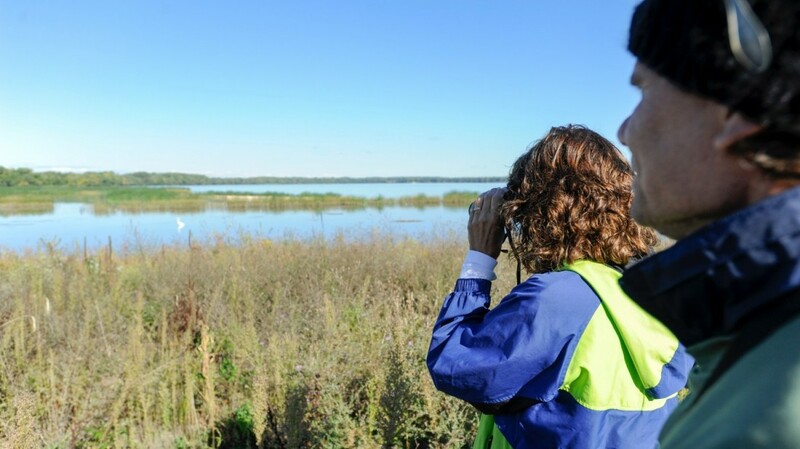 Amidon was recently recognized with an award from the White House Council on Environmental Quality and U.S. EPA for environmental education. 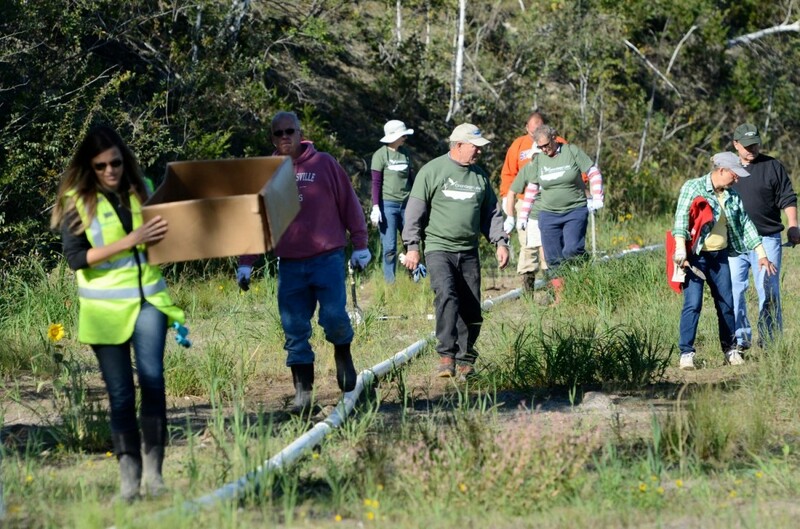 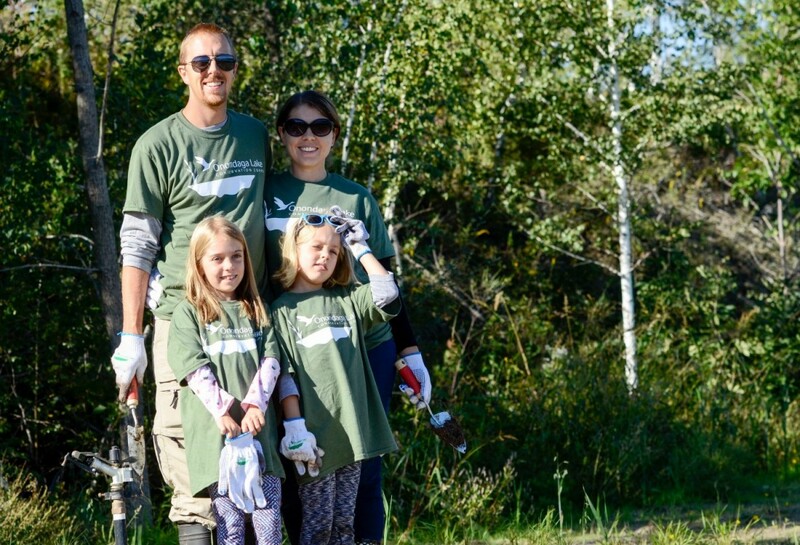 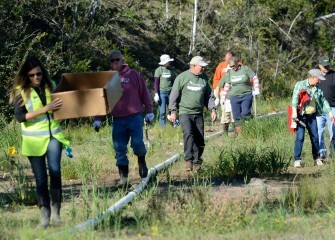 September 2016 - Volunteers fan out along the shoreline to planting areas. 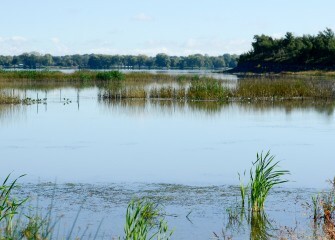 Access to the recently restored wetlands is restricted to the public while new plantings become established; the new wetlands can be seen from the lake. 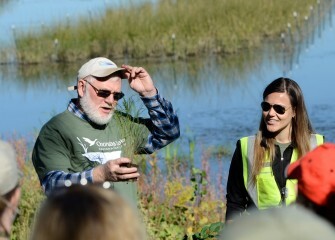 September 2016 - Corps volunteers Joe McMullen, habitat expert, and Natalia Cagide-Elmer, environmental engineer at Parsons, brief volunteers on native species they will plant in the new wetlands. 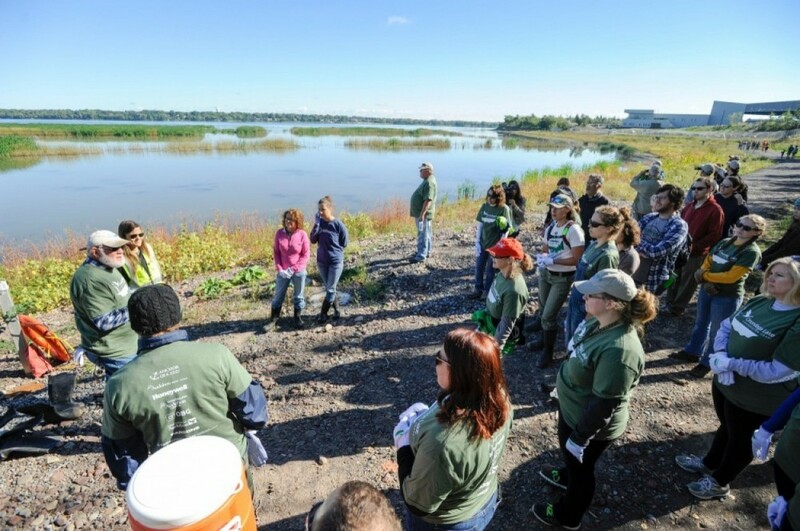 September 2016 - Onondaga Lake Conservation Corps held its 16th event on Saturday, Sept. 24, to improve habitat in the Onondaga Lake watershed.